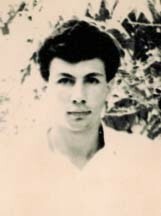 Rustam Ibrahimbeyov at age 19 in 1958 and in 1999. 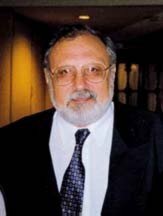 Rustam Ibrahimbeyov (pronounced roo-STAM ee-brah-him-BEH-yov) is one of Azerbaijan's most prominent filmmakers. He currently heads the Filmmaker's Union of Azerbaijan as well as the Confederation of Filmmakers' Unions (CFU), which represents filmmakers from the former Soviet republics. Rustam has written scripts for more than 30 films, including "Close to Eden", which was nominated for Best Foreign Film Oscar in 1992. His highest international acclaim came when the film "Burnt by the Sun" for which he wrote the screenplay, was awarded the "Grand Prix" at the 47th International Cannes Film Festival (1994) and the Academy Award for "Best Foreign Language Film". It was an honor rarely bestowed, as European cinema and American cinema are based on very different criteria. Rustam has recently been elected a member of the American Film Academy, the first time for an Azerbaijani. There's no doubt that childhood is the source of what I am doing today. If a person is not tied to his childhood, then he can never become a writer, producer or anything else. But I wouldn't say that there was any one specific event in childhood that shaped my career. Actually, when I was young, it never occurred to me that I would become a writer someday. Of course, books were an integral part of my life. I read a lot. My parents loved to read, too. I remember that my mother had books that she was passionate about. 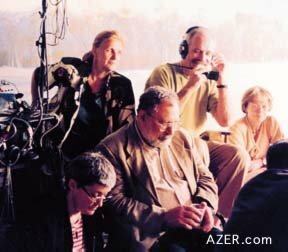 Rustam Ibrahimbeyov (center) in Prague with Director Nikita Mikhalkov, working on the film "Barber of Siberia", 1997. Photo: Igor Gnevishev. Once when my brother, Magsud, was in fourth grade, he gave two of my mother's books to his teacher, the wife of a military officer. That night when my mother discovered it, she insisted on going to the teacher's house to get those books back. But the teacher had moved away from the address that we had and we couldn't find her. My mother was so disappointed. It was then that I began to understand how important books could be to a person's life and especially how dear they were to my mother. The only childhood event that directly relates to my career happened when I was 13. I became involved with a drama circle, and we organized a play called "Hard Task". I had a role in that play, but it was so hard for me as I was extremely shy. Perhaps performing in that play somehow influenced my career. Magsud wrote his first essay when he was 13. It was a short story about pirates and consisted of 13 double-sided, copybook pages. After he finished it, the whole family gathered around and he read it to us. I was 9 years old then. I was amazed by my brother's ability. But the thought that someday I could also write like him never crossed my mind. Actually, I started writing fairly late. I was 24 years old when I wrote my first story. It was published in the "Azerbaijani Youth" newspaper in 1963. I started writing while doing post-graduate studies in cybernetics. We grew up in the street, so I guess my childhood was different from kids even in my own day who had a more domestic upbringing. We had to work and earn a living. The street was full of so many different levels of society and so much diversity. On the one hand, kids these days are more secure than we were. Times were very difficult back then. There was real hunger. We used to collect newspapers and, after we had gathered 20 of them, we sold them to buy sweets and "blini" (crepes) for ourselves. Market vendors used the newspapers to wrap their goods in as there weren't any plastic bags in those days. Looking back, I'd say that our childhood was pretty severe. But any problem that is not fatal to man can actually turn out to be beneficial for him. In that sense, our childhood was wonderful. These days we are experiencing a very strange situation in society. Much of our population is very poor, while the rest is quite well off. This creates awkward situations for kids growing up today. But the wealthy have their own problems as well - such as drugs and alcohol - which are no less severe than the problems that the poor must cope with. When my son was graduating from high school, I gave him the following advice. It's the same advice I would give today's youth. I told him that the happiest days of his life were just about over. Get ready to meet another side of life. Get ready to cope and overcome the troubles of life. At school you were always told that love, a career and other good things in life were within your grasp. You were led to believe that you would get the best things of life - that you would love and be loved. You thought that if you worked hard, you could make a career for yourself. But don't be surprised when the opposite happens and be prepared to deal with it. Get ready to meet the woman you will never love. Get ready to be betrayed by your most faithful friend. Get ready to be treated unjustly by your native land. Get ready to be denied the things that you deserve. And in truth, it's absolutely possible to fail in life. Despite all these disappointments, never lose faith in the good things in life. Be assured that love and truth and goodness do exist. But if you don't meet the ideal woman, it doesn't mean that you can't love another woman and that there is no love in life at all. The most terrible tragedy of life is cynicism or despair, so never lose your belief. When you are on difficult terms with your Motherland and your government, don't get discouraged and think that you shouldn't love your nation. If one of your friends betrays you, it doesn't mean that all your friends are traitors, and that there is no such thing as friendship. If your beloved betrays you, it doesn't mean that all women are unfaithful. A man can try to do his best, and yet circumstances may turn everything upside down. For whatever we manage to achieve, only a small portion depends on us; the rest is circumstance and fate. God gives us paths to walk upon, but we have to choose our own route. Many things depend on us, but a lot of other things are determined by God, fate, circumstances or something or somebody else. That's why you should never generalize or get disappointed. Despair is the most fatal tragedy of life. Whatever happens, life is life. According to statistics, 60 years is the average life span for a man in this part of the world. Since I've lived to be 60, I think that's my greatest achievement. Most of my childhood friends have already passed away-only a few are still living. Two of them are drivers, another has a little shop, the third is an engineer. That's why I can say that I have taken a lot from life. There are some people who strive to attain something, like in boxing or wrestling, where you are concentrated in only one direction. But in a pentathlon, you have to be able to jump, run, swim and shoot. I'm a pentathlete-that is, I don't have just one aim in life. The important thing for me is to create balance between everything that I do. For example, when I work too much, I get nervous that I'm missing other important events in life. If I become extremely involved in family affairs, then I start feeling like I'm missing out in another direction. I see life as a canvas on which we create a picture. One's life and one's deeds make up the content of this composition. Some people don't think about the picture they are making. They are just interested in reaching their goals. But it's important for me to see what I'm drawing in life and what I'm leaving behind. I want my canvas to be filled with beauty. I'm not so interested in what I'm going to get out of the picture. I'm not interested in the result - I'm just interested in its beauty. And so from this point of view, I'm quite pleased with what I've created so far. As for what I want to be remembered for most - I want to be remembered for my kindness. Simply, I want to be remembered as a kind man. The century that is coming to an end has really been catastrophic. You ask: "Why?" Simply because man's scientific and technical achievements have run ahead of his moral development. Mankind is like an infant who has been left alone at home with various kinds of gadgets that he hasn't yet learned how to use. Mankind's emotional and moral development is lagging behind scientific and technical development. Nearly everything that we create leads to the destruction of nature and humanity. We need to stop this disaster and slow down its development. All knowledge that we have brings harm to us while at the same time making life easier and easier. And comfort leads to the degradation of humanity. That's why I say that the 20th century has been a terrible one. Let's hope that the next century will bring resolution to some of these problems. Myself, I greet the 21st century with optimism and hope. Rustam was interviewed in December 1999 by Mazahir Panahov and Aynur Hajiyeva.